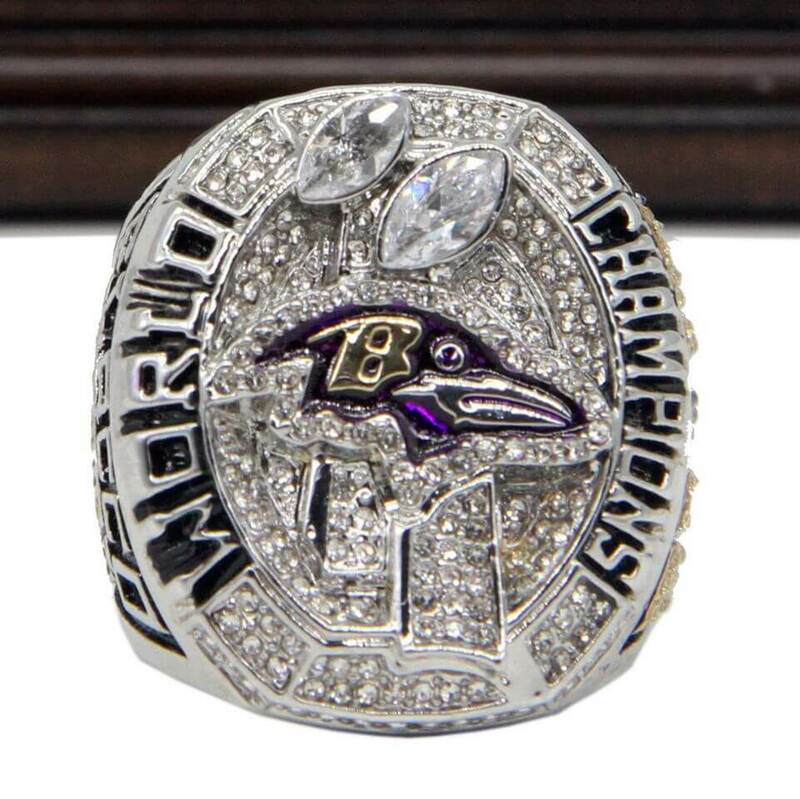 NFL 2012 Super Bowl XLVII was between AFC champion Baltimore Ravens and the NFC champion San Francisco 49ers, the game started on 3rd February, 2013 at Mercedes-Benz Superdome in New Orleans, Louisiana. 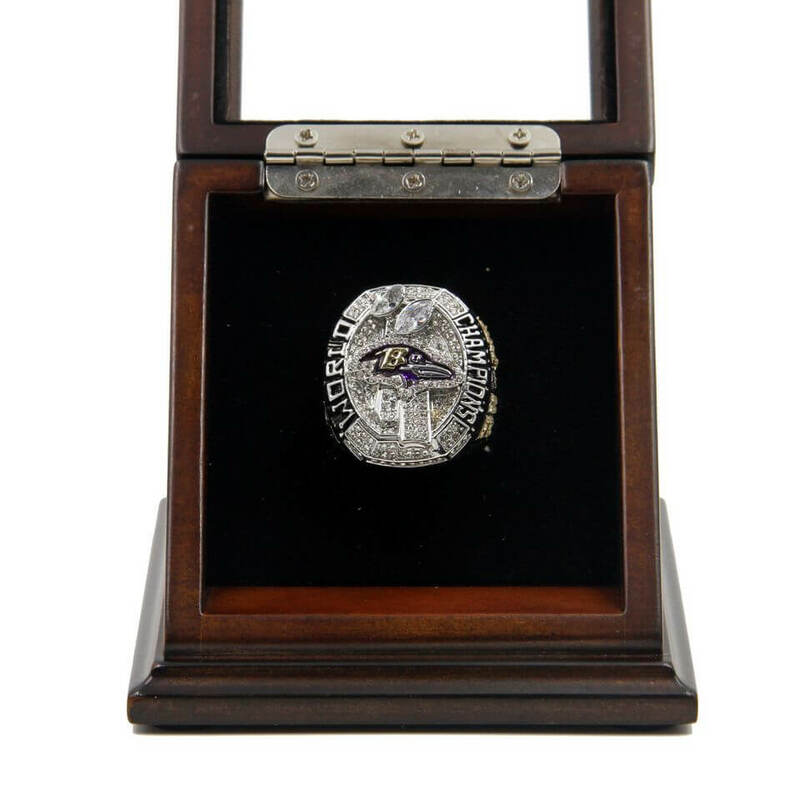 Baltimore Ravens had defeated San Francisco 49ers by 34:31 and won the NFL 2012 Super Bowl XLVII, which was the second Super Bowl championship they had. 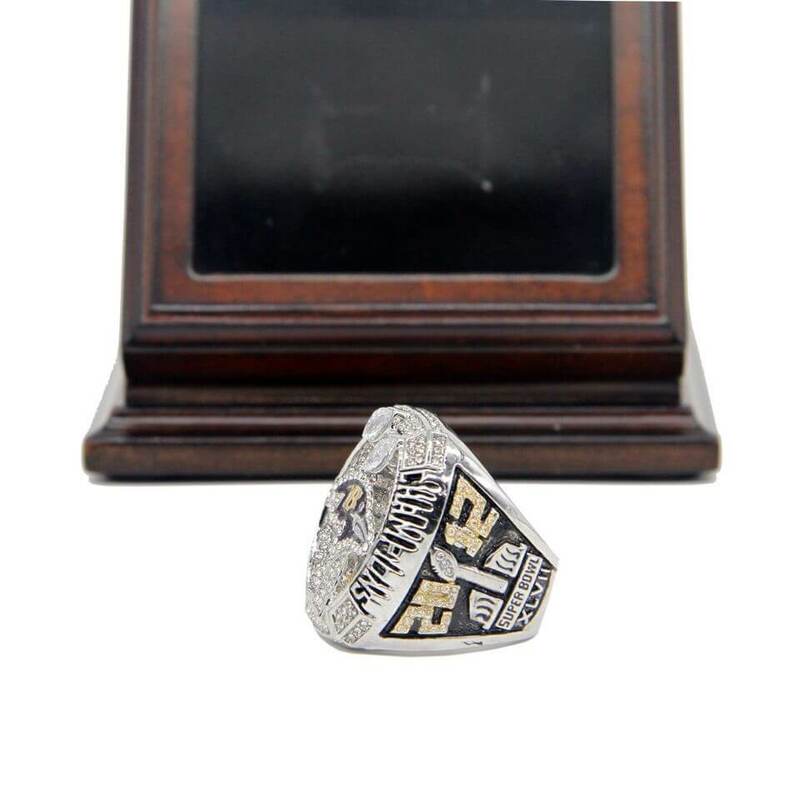 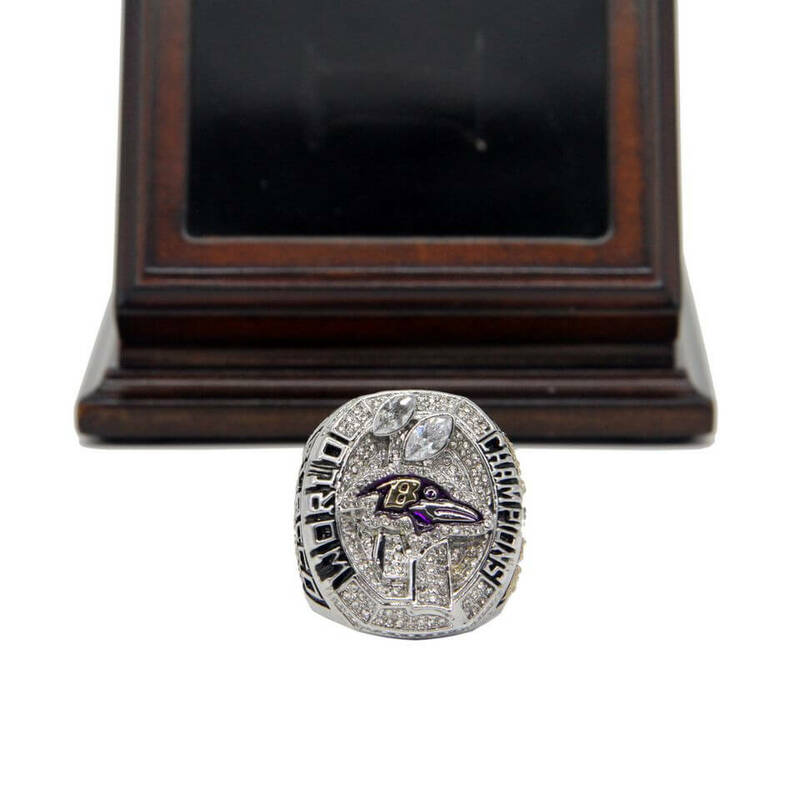 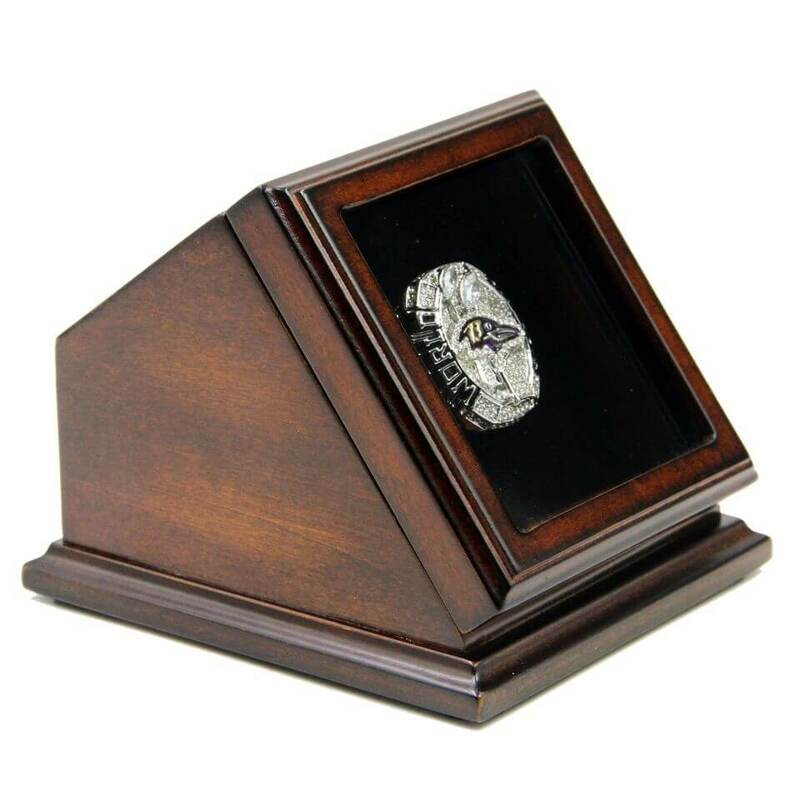 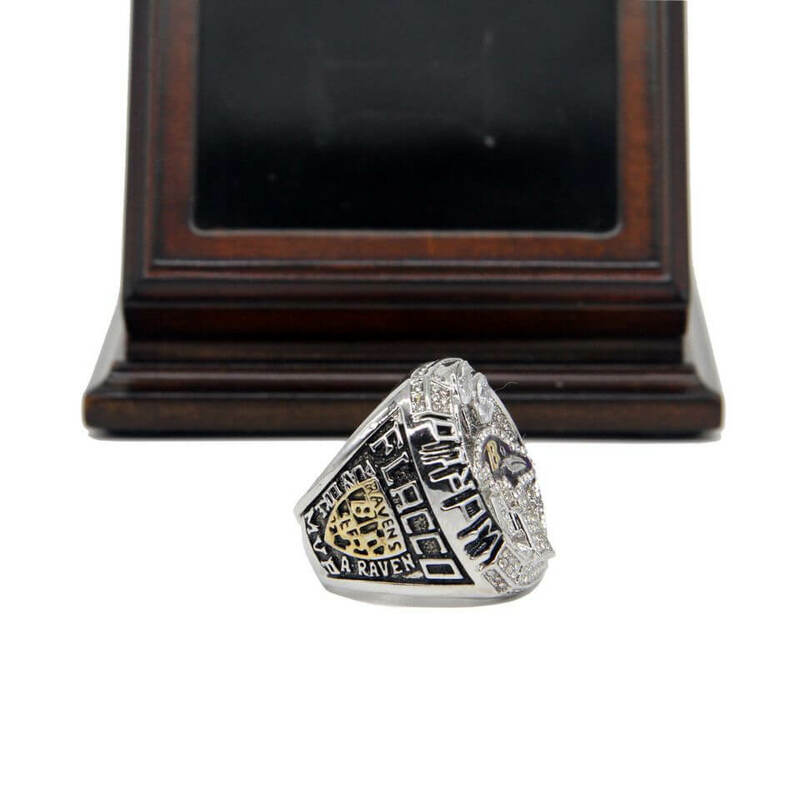 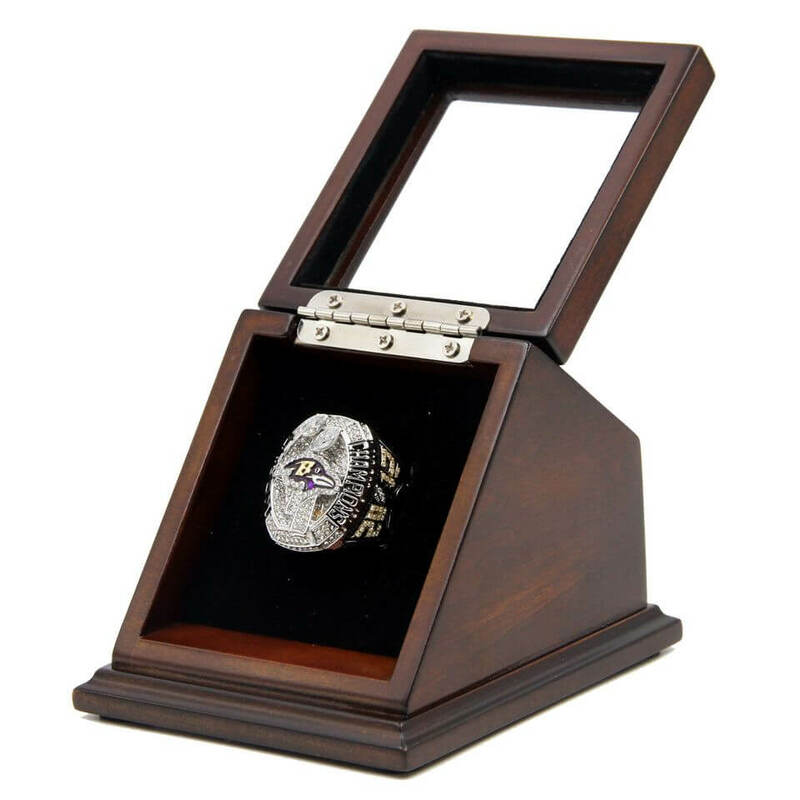 NFL 2012 Super Bowl XLVII Baltimore Ravens Championship Replica Fan Ring with Wooden Display Case - Flacco is the championship ring to memorize the honorable time that Baltimore Ravens had in the NFL 2012 season. 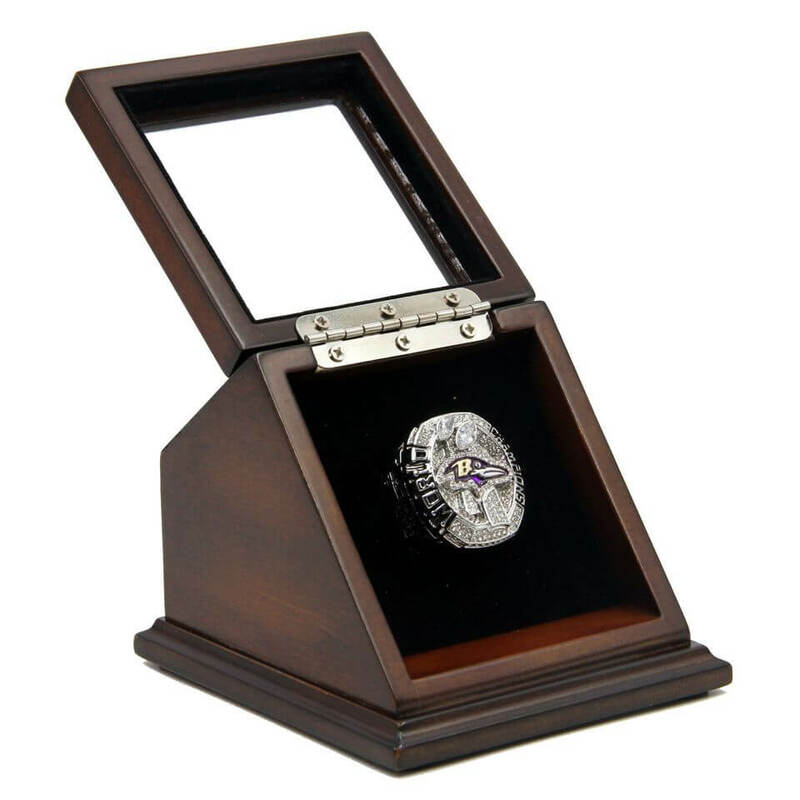 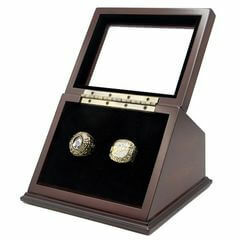 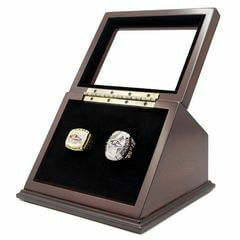 With the fantastic wooden display case, it is a great collection and gift for any of the Baltimore Ravens fans.